Principles and Best Practices - Feast Design Co.
We believe that a clear set of principles and best practices helps our customers, employees and investors understand what our goals are and why we make the decision that we do. Principles let our customers know what value we can and can’t deliver, provides guidelines for our employees when dealing with customers to deliver that value, and in return guides us in delivering more value than what we charge for. It lets us evaluate how we’re performing over time, and make adjustments as necessary. We adhere as best we can to these principles, and refine them over time as we continue to gain experience and better understand our customers. 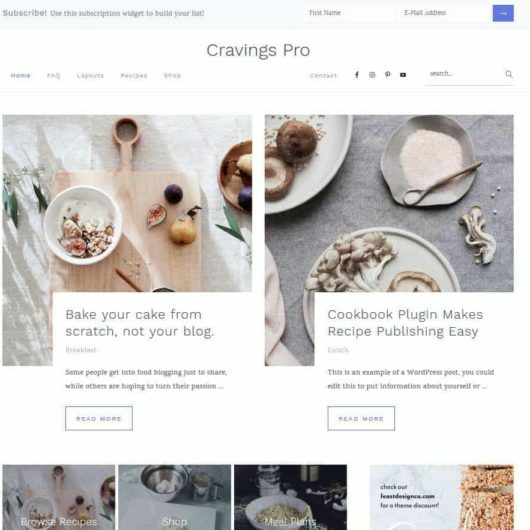 Building a food blog is a life-long learning experience, which requires relying on others within your community as well as developing your own skillset and knowledge-base. 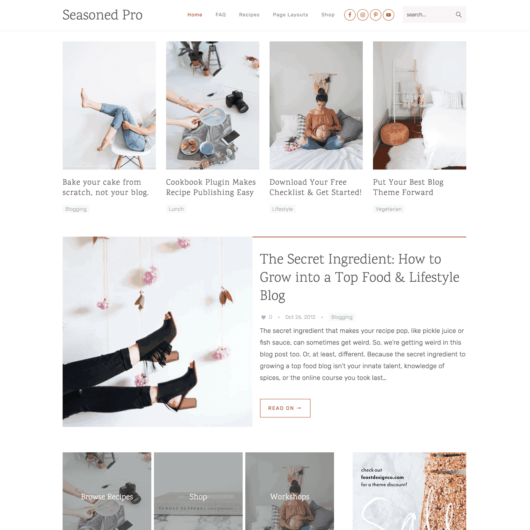 These best practices for food blogs are an accumulation of over a decade of web design and marketing experience, and are designed to give visitors what they need, while achieving business goals. They’ll be continually updated to be accurate at the time of reading, but like all things online, will change over time. Thin content pages (eg. categories, archives, recipe indexes) should be avoided, and actively noindexed. Paragraph length should average about 5 sentences for readability, with each sentence being 17-20 words. How are best practices decided on? Every decision you have to make as a blogger has trade-offs – there’s a negative and positive side for every decision. New food bloggers – especially non-technical ones that don’t have a background – do not have the knowledge-base required to make the correct decision. That’s why we seek input from a team of experts in their own fields. 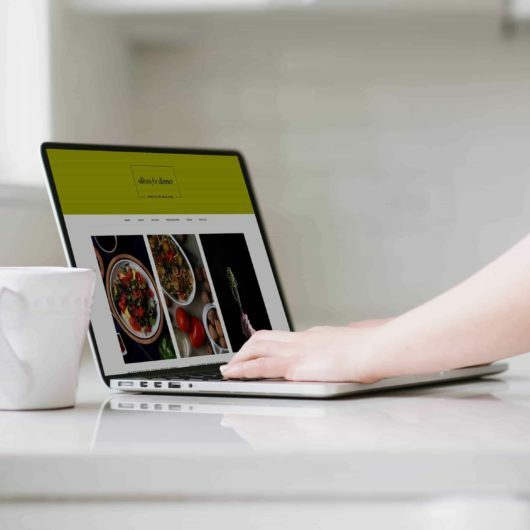 Our best practices are oriented around keeping you focused on cooking, taking pictures, and posting recipes, rather than fiddling with design. These best practices are designed to get you off the ground, at least until your blog is generating enough income to hire experts yourself. Anecdotally, the earliest this tends to happen is around 100,000 pageviews/month. But one thing that comes up time and again is flexibility – you should be able to make your own decision, if and when the time comes that it’s worth it. So we’ve extended our themes with functionality in the Feast Plugin, allowing you to turn some features on or off, and make decisions that are best for your particular case.